There’s a great premium design resource from a new contributor for Access All Areas members to download this week. Gabor Monori has kindly donated one of his most popular products, named Scratched Textures Vol 1. The pack contains 40 high quality texture files that have been made from real scratched surfaces, scanned at a very high resolution. Each texture is available in 4500×3000 300ppi JPG & transparent PNG formats, making them perfect for giving all kinds of artwork and photography an old and used feel. Gabor Monori is a photographer, a coder, and into anything creative. He produces and shares a range of design resource products in his Creative Market store, including a massive selection of high quality texture packs featuring wood, halftone and paper effects. Gabor also has a dedicated photography resources store too, where you’ll find a range of stock photos from the streets of Brussels, Cologne and Paris. 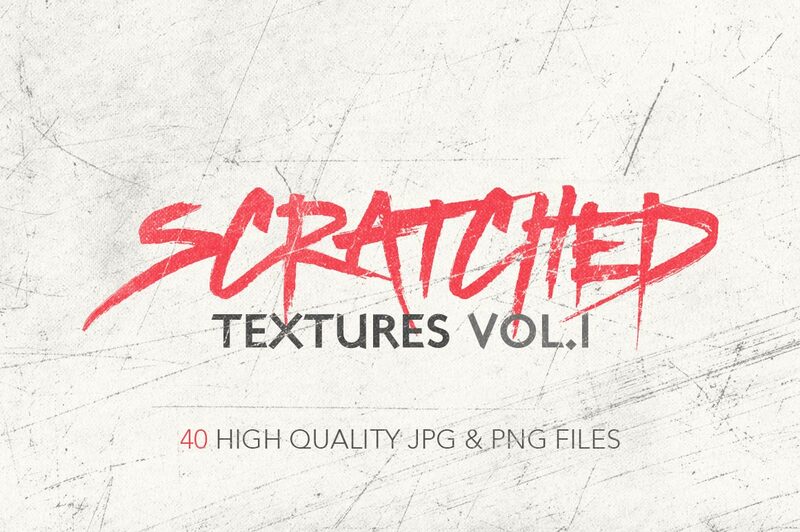 This pack of scratched textures contains 40 dirty scans of real grungy surfaces so you can add high quality distressed effects to your designs. The transparent PNG files allow you to paste each texture directly onto your artwork for easy overlays over images and photos, while the black and white JPEG textures are ideal for pasting into a layer mask to erase away portions of your elements for the true weathered look. These are so nice!! Wow! Thanks to Gabor Monori for these! Thank you, too, Chris, for bringing them to us! This looks like a great selection. Can’t wait to try them out! I hope you enjoy them Su! Gabor makes some really fantastic resources. Hi We were searching for the scratched textures for one of our valuable client, and lucky to get few details on your website.